Der ganzjährig bespielbare 18-Loch-Meisterschaftsplatz von El Gouna, malerisch vor einer Kulisse aus atemberaubenden Bergen und endlosem Meer gelegen, erfordert eine ordentliche Portion spielerisches Können, Geschicklichkeit und Einfallsreichtum, egal ob Neuling oder Profi. Die beiden Golf-Architekten Gene Bates und Fred Couples legten den Platz so an, dass sowohl Anfänger als auch fortgeschrittene Turnier-Spieler dort auf ihre Kosten kommen. Es gibt jeweils drei Herren- und drei Damen-Abschläge. Die Bunker, Lagunen und Wüsten-Roughs wurden gezielt so positioniert, dass sie für jedes Niveau eine Herausforderung darstellen. Windströmungen aus unterschiedlichen Richtungen und andere Tücken - die Grüns hier warten mit den verschiedensten Herausforderungen auf. 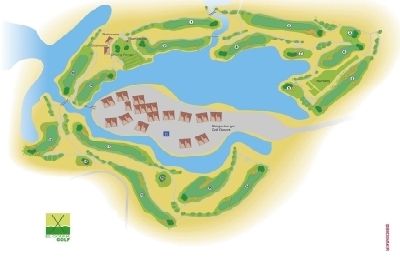 Das vierte Loch etwa, ein Par 5, liegt gegen den Wind. Um den Ball aufs Grün zu befördern, bedarf es mindestens zweier gekonnter Schläge mit dem Holz. Weil man gegen den Wind zielen muss, riskieren die, die einen Fade spielen, dass der Ball in der Wüste landet. Genau das macht das fünfte Loch so interessant. Das neunte Loch liegt in Richtung des Restaurants La Rotisserie im Turm des Clubhauses. Für Anfänger ist es ein relativ einfacher Drive. Schlägt man hingegen von den Championship-Tees ab, so bietet sich ein ganz anderes Bild: Kaum hat man den ersten Schlag gemeistert, steht ein zweiter zur engsten Stelle des Fairway an. Oft versuchen Spieler mit einem sicheren langen Drive, den Ball direkt über den Sandbunker an der Vorderseite des Grüns zu spielen, aber daran ist schon mancher Könner gescheitert. Das Grün selbst ist breit, sobald der Ball jedoch darauf gelandet ist, sind oft lange Putts zu spielen. Nur wer das Terrain sorgfältig abschätzt, kann den gefürchteten Dreierputt vermeiden. Die Aqua Driving Range bietet Platz für bis zu 30 Spieler. Startzeiten müssen im Voraus reserviert werden, außerdem ist ein Handicap-Nachweis erforderlich. Im Club stehen ein breites Sortiment an Golfzubehör und Leihausrüstung sowie eine Driving Range zur Verfügung und es werden PGA-Trainerstunden angeboten. 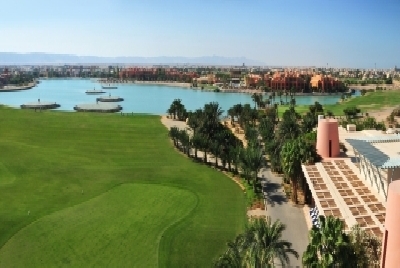 El Gouna's 18-hole championship course boasts year-round golfing in a setting where players, novice and professional alike, can feast their eyes on stunning mountains and endless sea view as the course challenges their strength, ingenuity, and skill. 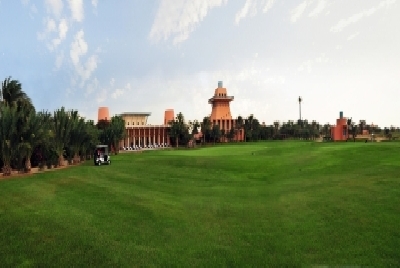 Gene Bates and Fred Couples designed the course with every level of golfer in mind, from the beginner to the advanced golfer playing the tournament circuit. 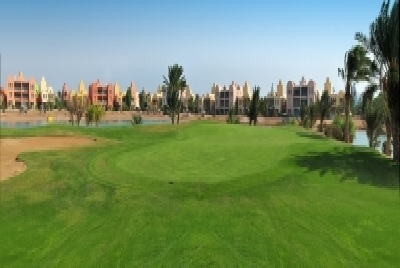 The course boasts three men's and ladies' tees each, carefully placed bunkers, lagoons, and desert rough, all designed to challenge the individual at his or her own level. 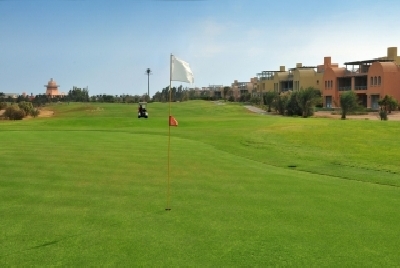 On the greens, golfers find navigating the course's pitfalls and varied wind currents challenging to their ability. The Par five fourth hole heads straight into prevailing wind and requires at least two well-placed wood strokes to close in on the green. 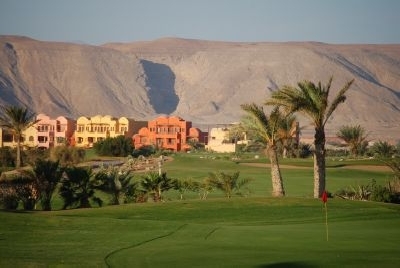 Because players must aim into the wind, those who draw a fade risk sending their balls into the desert, making it a uniquely challenging hole. The ninth hole plays towards La Rotisserie Restaurant in the club house tower. It's a relatively easy drive for beginners, but presents a serious challenge for those hitting off the championship tees. After surviving the first drive, players are faced with a second shot into the narrowest part of the fairway. Confident long drivers often attempt to carry the sand trap guarding the front of the green, but even the best may fall short. 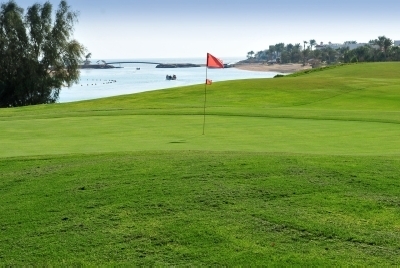 The green itself is a large target, but once there, players often have to make long putts. Only a careful read of the terrain will save you from the dreaded three-putt. The back nine have their own surprises. The longest Par four is the fourteenth hole, where nearly 440 meters separate the championship tee from the flag. For a reasonable shot at the green, the golfer must be courageous enough to carry a bunker on the left side of the fairway that ends 230 meters from the tee. Fortunately, the prevailing winds can provide the extra push needed to carry this hazard. Once that's accomplished, reaching the green requires a straight long iron or a wood. Par here is an excellent score. The following hole, a dogleg right, presents yet another interesting dilemma. 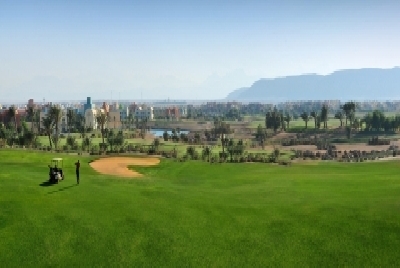 With a lagoon on the right and a large bunker in the center of the fairway, the golfer can try and carry the lagoon, leaving only 130 meters to the green. But the slightest wind or fade can send you into the water- a pleasure if you're cooling down after a day in the sun, but a one stroke penalty if you've still got your cleats on. Playing it safe to the left side of the fairway bunker, on the other hand, leaves 200 meters over a sprawling third bunker guarding that side of the green. 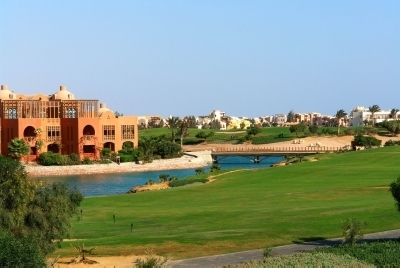 Another signature hole is the 17th, a long, narrow and gentle dogleg right running along the lagoon separating the back nine from the Steigenberger Golf Resort. Accuracy on the drive is essential to avoid the sand and water traps to the right, and the fairway bunker on the left. 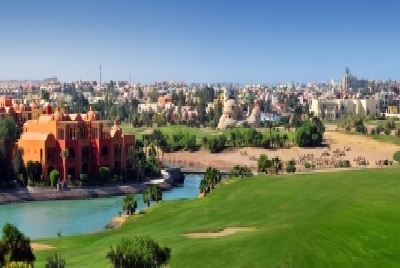 A golfer's ambitions are rarely enough to carry both the lagoon and the massive bunkers. Playing it safe to the left leaves a relatively short iron to a large, sloping green. Tricky at first, but a good opportunity for a birdie once you know the lay of the land. The aqua driving range accommodates up to 30 players. Tee-off times must be reserved in advance and handicap proof is mandatory. 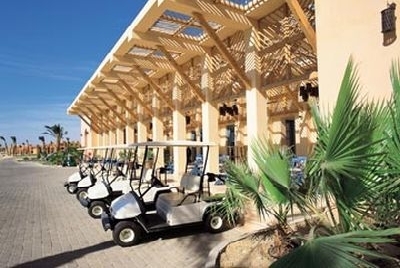 The club offers a full range of retail products, rental equipment and driving range facilities as well as PGA tuition.